Charlie Kaufman's stop-motion animated début Anomalisa is currently attracting a lot of attention. This is at least partly because Kaufman is one of a relatively small number of live-action film-makers who has made the crossover into the world of animation. Although the films are very different, it has inevitably lead to comparisons with the last time an Indie director made the transition, in Wes Anderson's appropriately titled Fantastic Mr Fox. Up until now Anderson's film is arguably the most successful example of this happening to date. Mr Fox was taken to heart by critics and fans alike, both in the animation community and the wider film world. So it's no wonder that the news that Anderson is working on another film made in the style has been met with such excitement. 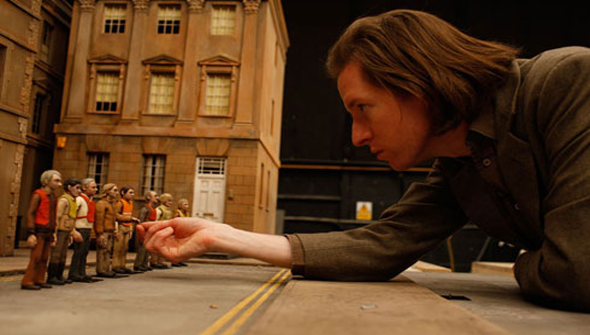 Fresh from the success of The Grand Budapest Hotel- his biggest film to date, both commercially and critically- Anderson is choosing to return to the stop-motion art-form. Not much is known about Anderson's return to animation so far, but a few intriguing details have made their way online. Following the success of Mr Fox, the new film will be similarly be animated in the UK and will be his next project. The first film's puppets were made by the super-talented folks at Mackinnon and Saunders, so we'd expect a repeat collaboration here. The only think currently known about the plot is that this time it will centre around dogs. In a recent appearance frequent Anderson collaborator (and all round legend) Jeff Goldblum let slip that he would be lending his voice to the new film, and would be joined by Edward Norton and Bryan Cranston, and that they would all be playing canine characters in the new flick. Goldblum also reportedly said the film would be "Japanese inspired", whatever that might mean. A doggy samurai flick perhaps? Or maybe a Yakuza movie packed with pooches?Or a fuzzy take on Ozu? Whatever it turns out to be, we're on board! The film is currently in preproduction.